SSNT Bearing Housings are produced in Cast Steel, Stainless Steel, Cast Iron and SG Iron. 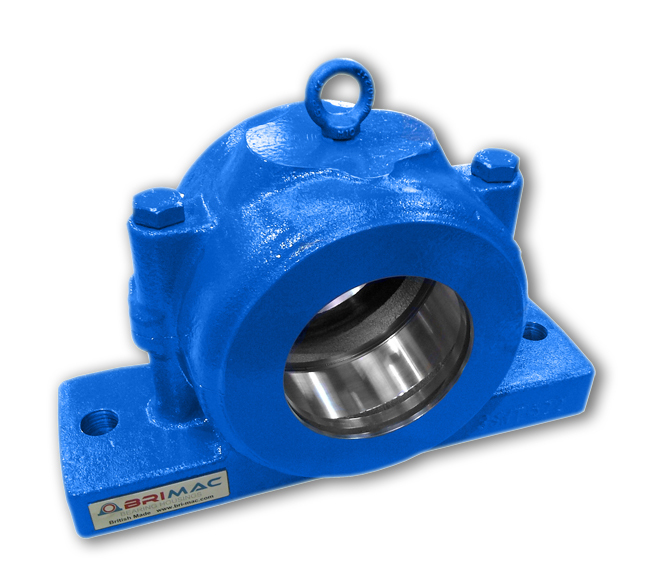 Bri-Mac machine these Bearing Housings to suit any Bearing size. These Bearing Housings are split and bolted together with 2 bolts and dowels. The Housing feet can be solid or cored with 2 or 4 holes or slots. They can house located or non-located Bearings, through or blank shaft. Bri-Mac not only supply standard Bearing Housings of this range, but offer Angled housings for restricted conditions, Flame-Cut versions for rapid delivery or Water-Cooled for high temperature applications.